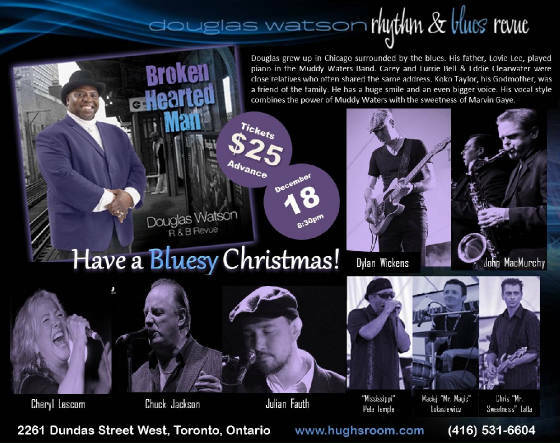 Bluesin' Toronto has developed quite a track record for creating unique and very special nights. 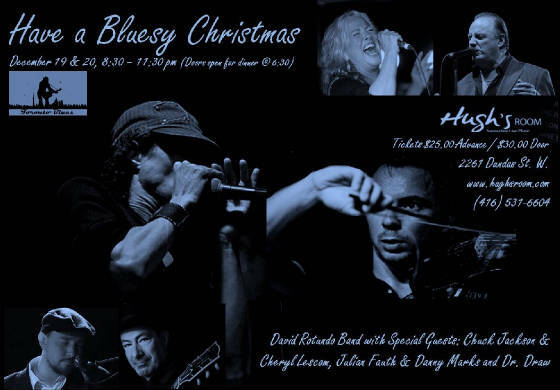 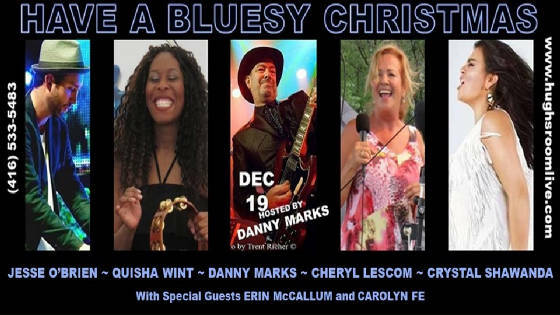 "Have a Bluesy Christmas" has been at the forefront of that reputation having featured some of the best blues artists in the area. 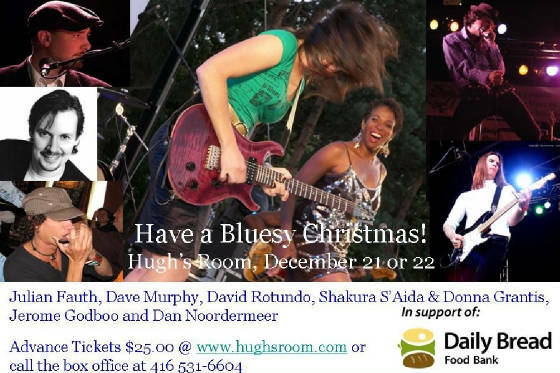 Great artists such as Shakura S'Aida & Donna Grantis, Dawn Tyler Watson & Paul Deslauriers, the David Rotundo Band, Julian Fauth, Danny Marks, the Dave Murphy Band, Paul Reddick, Jerome Godboo, Cheryl Lescom, Carolyn Fe, Chuck Jackson, Douglas Watson, Dylan Wickens, Treasa Levasseur and Dr. 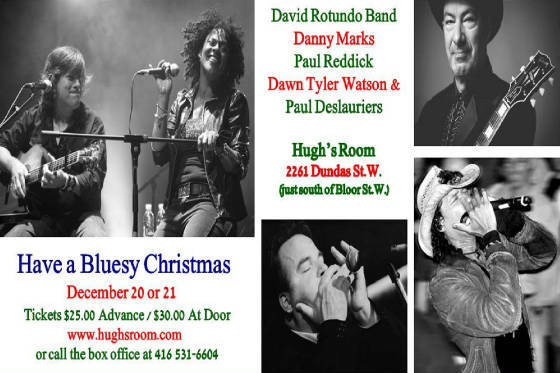 Draw have taken part in this magic night at Toronto's outstanding Hugh's Room.